The aims of the Association of Australian Decorative and Fine Arts Societies (ADFAS) are the promotion and advancement of aesthetic education, the cultivation and study of the decorative and fine arts and the preservation of our cultural and artistic heritage. In 2009 the Association of ADFAS celebrated its 20th anniversary. To commemorate this milestone, it was decided to actively support the conservation of Australian cultural materials in accordance with the ADFAS mission statement and spirit of giving. Founding Chairman and current Patron, Patricia Robertson, had long recognized that conservation is a significantly under-funded area of the arts and suggested that ADFAS could make a meaningful difference to this vital work. ADFAS was therefore pleased to make a three-year commitment to an annual Association of ADFAS Student Conservator Award, drawing on existing Association funds and providing financial support for outstanding conservation graduates. After extensive consultations and exhaustive correspondence with the tax office, the appropriate mechanisms were then put in place by the Association to establish a separate permanent resource which would continue to further the cause of conservation and be derived exclusively from voluntary donations. This new fund, known as the Patricia Robertson Fund (PRF) was officially launched in 2014. The administration of the PRF is conducted by the Executive Committee of the Association of ADFAS and reviewed annually. Operation of the fund is reported bi- annually to ADFAS Council. The Selection Panel was chaired by Association President, Julian Bickersteth who is a practicing conservator until 2018 when Julia Gamble, an Executive Committee member was appointed as chairman of the panel. The current panel committee members are ADFAS Patron, Patricia Robertson, National Chairman, Caroline Boehm and Association Hon. 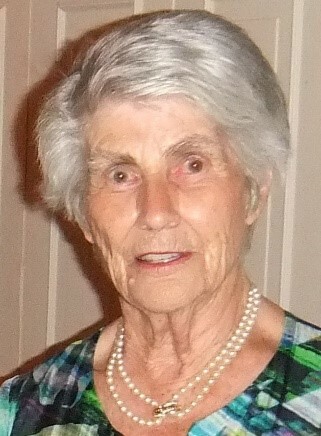 Treasurer Felicity Mauger. Through the fund, ADFAS has supported members of the Australian Institute for the Conservation of Cultural Materials (AICCM) since 2010. In 2014, the PRF awarded an emerging young graduate to develop conservation skills within an overseas workplace environment. In 2015 and 2016, the fund was used to further the professional training of conservators either within Australia or internationally. In early 2017 a new agreement between the Association of ADFAS and the Australian Institute for the Conservation of Cultural Materials (AICCM) was formed. It was agreed that for three years (2017-2019) three awards would be granted annually. ADFAS Mid-Career Scholarship would be awarded to a mid-Career conservator with a minimum of ten years conservation practice. Benefit to the AICCM and conservation profession. The recipient to be known as the ADFAS mid – Career Scholar. ADFAS Scholarships would be awarded to the AICCM Student of the Year in both the University of Melbourne and Canberra University course in Material Conservation. The awardees to be determined by the respective Course Convenor. The recipients to be known as ADFAS Scholars. The three awards to be announced each year at the annual AICCM meeting in November. 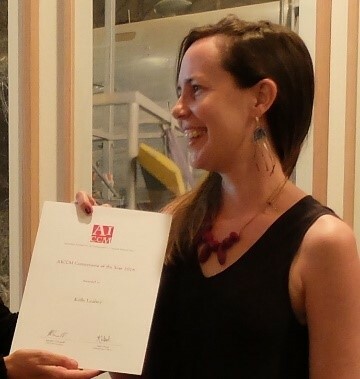 The ADFAS mid-Career Scholarship was awarded to Kelly Leahey. 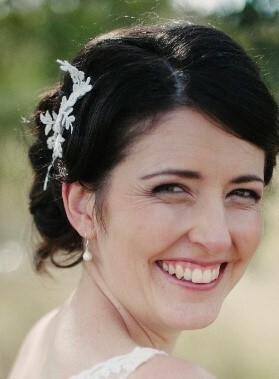 Kelly is a paper conservator at the State Library of Queensland. The PRF award will enable Kelly to attend the joint American Institute for Conservation of Historic and Artistic Works, Photographic Materials Group (AIC PMG) and the International Council of Museums – Committee for Conservation, Photographic Materials Working Group (ICOM-CC PMWG) conference and workshop, New York, in February 2019. This conference is highly relevant and timely, as the Queensland State Library starts initial planning for the conservation of a significant collection of Richard Daintree’s hand painted photographs from the 1870s. In 2019, Kelly will be leading the technical examination component of this project, and will be looking to build capabilities at the State Library in this area. She will take the opportunity a the conference to consult with photograph conservation colleagues to research international standards and current options. This will help to make wise investment decisions in the instrumentation purchases. In particular, the library is looking at options for documentation using Ultraviolet Fluorescence photography (UVF), Infrared Reflectography (IRR), and Reflectance Transformation Imaging (RTI). Attending this joint photograph international conservation conference will help make good decisions in this area, and will have a huge impact on conservation work and research into Queensland collections in the years to come. In collaboration with Rachel Spano, Senior Conservator at State Library, she is working on two paper submissions for the conference. 2018 – AICCM University of Canberra Student of the Year. Emma is in her second year at the University of Canberra and has achieved exceptional academic results. She has also thrown herself into engagement with the AICCM and the heritage and conservation world with enthusiasm, commitment with proven organisational abilities. Joining AICCM ACT Council early in her degree, Emma has taken on the role of Student Representative and has participated in activities with the council. She has also undertaken volunteer work with the Australian National Museum of Education at UC, the Hall School Museum and Heritage Centre, and the National Archives of Australia. She has developed, organised and installed the UC 50th Anniversary exhibition as part of an internship unit, and undertaken research projects at both the Army Museum Bandiana in the Gaza Ridge Barracks in Victoria, and at St Mark’s National Theological Centre Rare Book Collection in Canberra. The research project undertaken at the Army Museum focused on communication between the museum and visitors using Quick Response (QR) codes. This involved running an experiment which included development, instillation and data collection of QR code usage followed by recommendations for future application. The research project undertaken at St Mark’s National Theological Centre involved a significance assessment of the rare book collection, followed by recommendations made regarding safeguarding the collection for future generations. Emma plans to undertake an internship in 2019 at the National Library of Australia (NLA) in the National Collections Access Division, Digitalisation and Document Delivery Branch. This opportunity would benefit her career goals as it would provide hands on experience and the opportunity to network and exchange knowledge with heritage and conservation professionals. The preservation of significant documents is one of her passions so experiencing behind the scenes of the NLA would fulfil her personal and educational goals. 2018 – AICCM University of Melbourne Student of the Year. 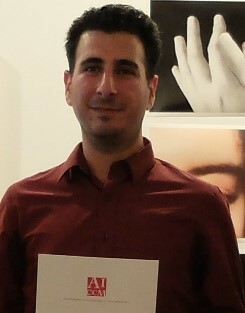 Sadra has made an outstanding contribution to the broader community while completing his 2018 PhD thesis on ‘Persian Inks: A study on traditional writing matters used in Persia (15th – 18th CE) through collection of recipes, historical reconstruction and non-invasive analysis of University of Melbourne’s Middle-Eastern manuscript collection. Sadra’s thesis investigated Persian manuscripts and the re-construction of Persian inks according to historically correct recipes and analysis with non-destructive analysis techniques including False Colour Infrared (FCIR) photography. Importantly he developed a non-invasive, user friendly and low-cost methodology for their investigation. This research has been published and circulated internationally in the Restaurator an important journal in the field of paper and manuscript conservation. His academic merits have also been presented at conferences and public lectures at the University of Melbourne, University of Adelaide, Cambridge University, and quite recently The University of Oxford where he was invited to present and conduct a Persian ink making workshop. This work was supported by a grant secured from The Barakat Trust (University of Oxford). Importantly, Sadra has communicated his research broadly. He has run several Persian ink making workshops at the Islamic Museum Australia in Melbourne and was a co-organiser of the Grimwade Centres ‘From Melancholy to Euphoria Symposium’ in 2018, and was part of the War Heritage Roadshow project, the conservation of wall papers in Port Fairy and the cleaning manuscripts at the University of Melbourne Baillieu library. He has also worked with The Islamic Manuscript Association (TIMA) as a professional translator where knowledge of the Farsi language and conservation informed the translations of the National Preservation Office documents on collection care as well as Middle Eastern Manuscript Terminology Lexicon from English to Farsi (Persian). The ADFAS mid-Career Scholarship was awarded to Dr Wendy Reade. Wendy attended and had her paper accepted at the biennial International Conference on the Archaeology of the Ancient Near East (ICANNE) conference in Munich, April 2018. Her paper related to her work on reconstructing a very rare example of a 3400-year-old Egyptian fresco painted pavement from Amarna held at the University of Sydney Museums. 2017 AICCM University of Canberra Student of the Year. Danica Auld was awarded ADFAS Scholar. Danica completed her Batchelor degree in Heritage and Conservation in 2016 with exceptional results and continued on into Honours. Her honours project explored the materiality, meaning and potential of community engagement of an unusual secreted group of handmade textiles, embroidered aprons, from the former Willow Court mental asylum in New Norfolk Tasmania. Danica furthered her studies by commencing a Masters in Textile Conservation course at the University of Glasgow in September 2018. Robyn Ho was awarded ADFAS Scholar. Robyn achieved an extremely high academic achievement in the Masters by Coursework Cultural Materials Conservation. Robyn while working full time with 6 degrees architects undertook country work with the Robin Boyd Foundation as a collection’s management volunteer and on the Carlton United Brewery archaeological site and the National Gallery of Victoria live conservation project in 2015.In the same year Robyn was part of the restoration of Victorian Trades Hall Old Council Chamber Project Team. She also undertook an internship placement with the Shaanxi Provincial Institute of Archaeology (SPIA) on a significant Chinese mural painting. A subsidised travel grant was awarded to conservator Alex Ellem a Melbourne based conservator to attend the joint Canadian Association for Conservation – “Association Canadienne pour la Conservation et la Restauration”(CAC-ACCR) and American Institute for Conservation of Historic and Artistic Works (AIC) conference in Montreal, Canada in May 2016. A subsidised travel grant was awarded to conservator Amanda Pagliarino QAGOMA Queensland to attend the joint International Institute for Conservation of Historic and Artistic Works (IIC) Congress and International Network for the Conservation of Contemporary Art (INCCA) conference “Saving the Now: Crossing Boundaries to Conserve Contemporary Works” in Los Angeles in September 2016. PRF funding subsidised attendance by conservators at workshops presented in Australia by two leading international conservators. Dr Martin Jürgens, photographic conservator from the Rijksmuseum Netherlands in Sydney and Dr Yvonne Shashoua, Senior Research Scientist in Conservation and Science at the National Museum of Denmark, in Melbourne and Brisbane. Funding also contributed towards a Reflectance Transformation Imaging (RTI) workshop held at the University of Melbourne which was led by experts from Cultural Heritage Imaging (CHI) San Francisco at the Grimwade Centre for Cultural Materials Conservation at the University of Melbourne. The PRSF scholarship recipient was Emily Harris, a 2013 graduate of the Melbourne Conservation Masters Course, as the inaugural beneficiary of the Patricia Robertson Scholarship Fund. The scholarship enabled Emily to spend several months in the UK gaining an understanding of the efforts of international institutes in monitoring technology to inform preventive and intervention strategies for outdoor artworks and significant heritage buildings. The PRF has been made possible by generous individual philanthropy and an initial investment by the Association of ADFAS. The aim of the fund is to provide an annual programme of awards to deepen the knowledge and thus extend the reach and scope of conservators working in Australia. Additional funds were given by the Association of ADFAS in February 2017 taken from nonoperational income to enable the fund to donate from interest only dollars and not draw down from the reserves. A growing number of ADFAS societies contribute annually to the fund. Such contributions are greatly appreciated, and this helps towards the Patricia Robertson Fund making a difference to the Australian cultural landscape.